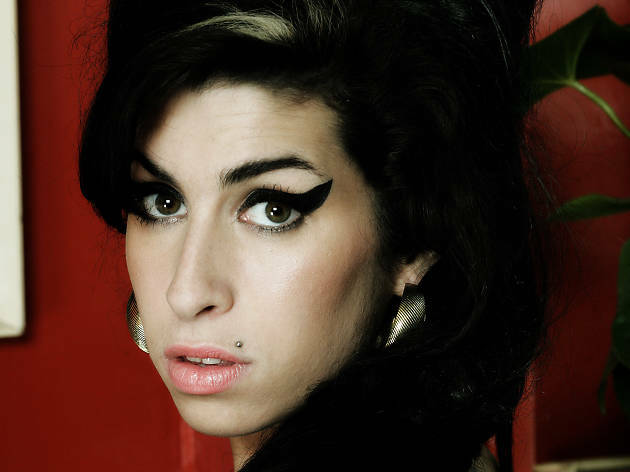 Ten years ago this week, Amy Winehouse released her iconic ‘Back to Black’ album. In celebration of this, here are nine London spots linked to the life of the remarkable singer and unofficial Queen of Camden. Home to what was supposedly Winehouse’s favourite drink, 'Rickstasy', (three parts vodka, one part banana liqueur, one part Southern Comfort, and one part Baileys), this local pub went up in flames during the infamous Camden Market blaze of 2008. Thanks to the fundraising efforts of its regulars, The Hawley Arms is back and open for business, hosting secret gigs and some great memorabilia. Unveiled in 2014, a life-size statue of the soulful songstress is the latest addition to the newly refurbished Stables Market. Created by artist Scott Eaton, the bronze statue (complete with signature sky-high beehive) now stands as the area’s ode to the singer. 'Fallen Angel' can be found on the side of the Camden Information Centre and is perhaps street artist Pegasus’s most recognisable artwork. Located on the edge of Camden Lock, the artwork was repainted after initially being whitewashed in a clean-up of the building and was formally unveiled by Winehouse’s mother Janis in December 2013. 30 Camden Square has become a site of pilgrimage for many Winehouse fans as it was Amy’s home until her untimely death in July 2011. The borough has now had to appeal to fans to stop stealing road signs –having already forked out on over 14 replacement signs costing over £290 a pop. 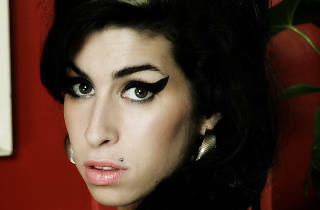 Last month’s crowdfunding campaign by the JML saw £14,000 raised towards an Amy Winehouse art trail. Although it's not happening until next spring, all-new street art installations and a Pegasus mural in the museum will accompany the return of the exhibition 'Amy Winehouse: A Family Portrait'. The Jewish Museum is the perfect place to pick up the exclusive exhibition catalogue, including words from Amy’s brother Alex Winehouse and exhibition curator Elizabeth Selby. The intimate venue became a favourite for Winehouse. Often swapping the stage for the bar, she could regularly be found pulling pints and chatting with regulars. Undoubtedly one of London’s most amazing music venues, the former railway engine shed was the intended home of Camden Market’s bronze Winehouse statue. It was here on July 20 that Winehouse played her last ever UK gig, joining god-daughter Dionne Bromfield live on stage. Owned by Edward Davenport aka 'Fast Eddie', the man behind the notorious Gatecrasher Balls, this 24-bed mansion has hosted some of the world's most debauched parties. Used as the video location for Winehouse’s hit 'Rehab', the dilapidated £30 million residence was deemed the perfect location by veteran director Phil Griffin. Known as one of London’s ‘Magnificent Seven’ garden cemeteries, Abney Park was the setting for Amy Winehouse’s 'Back to Black' music video. Located in Stoke Newington, this nineteenth-century city retreat features Egyptian inspired hieroglyphics alongside beautiful gothic chapels. Danielle De Wolfe is a London based writer, art director and founder of One Stop Record Shop. A music geek with a background in film and television, she loves discovering the greatest food and entertainment London has to offer. Follow her on Twitter @dannidewolfe.